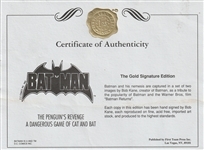 Presented here are two Batman signed items. 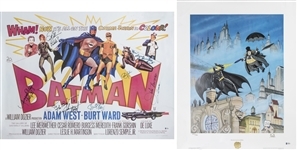 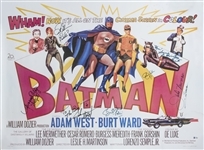 THe first item in this lot is a 38 x 28-inch poster for Batman starring Adam West and signed by seven of the cast members. 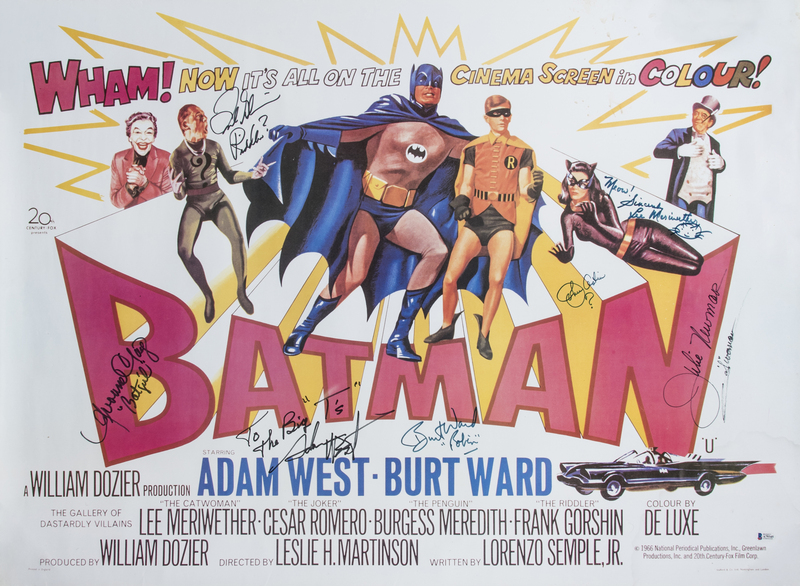 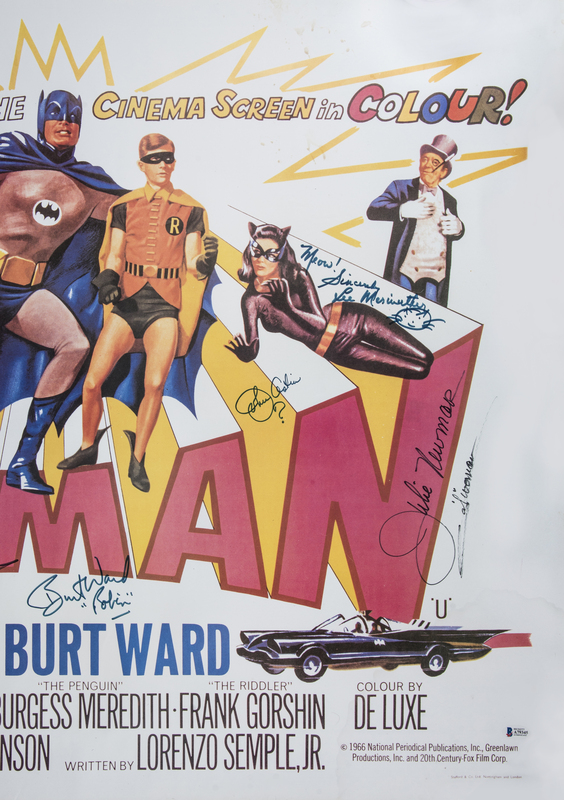 Signatures on this poster include Adam West, Burt Ward, Frank Gorshin, Lee Meriwether, Yvonne Craig, Julie Newmar, and John Astin. 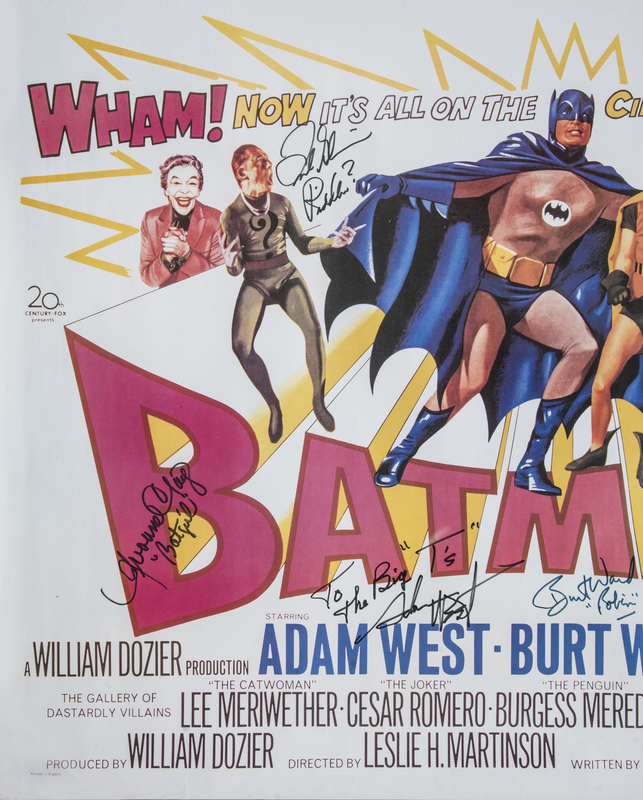 Meriwether inscribed “Meow / Sincerely” and drew a cat face next to her signature, while West inscribed “To Big T’s”, Ward inscribed “Robin”, Craig inscribed “Batgirl”, Gorshin inscribed “Riddler”, and Newmar inscribed “Catwoman”. 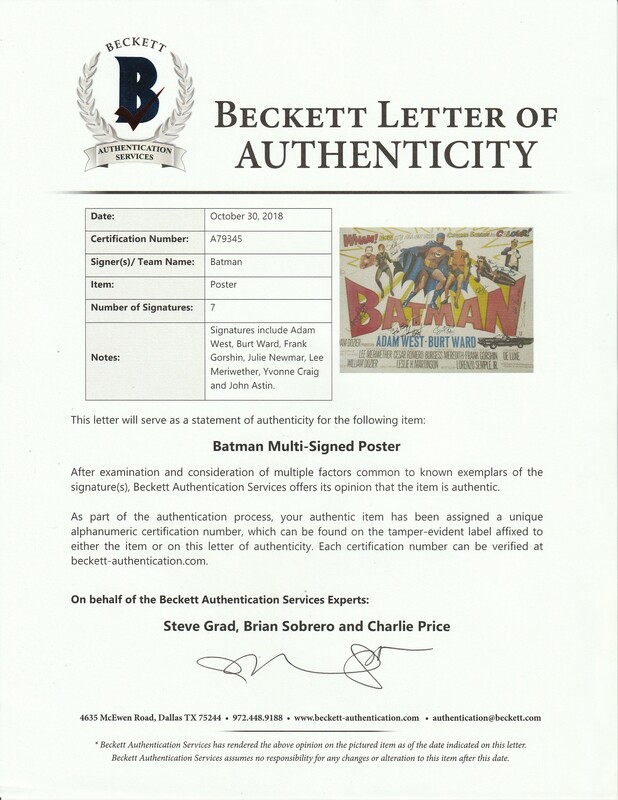 This poster comes with a LOA from Steve Grad of Beckett Authentication Services (A79345). The second item in this lot is a limited edition “Gold Signature Edition” lithograph of Batman and the Penguin signed in gold marker by the legendary Bob Kane. 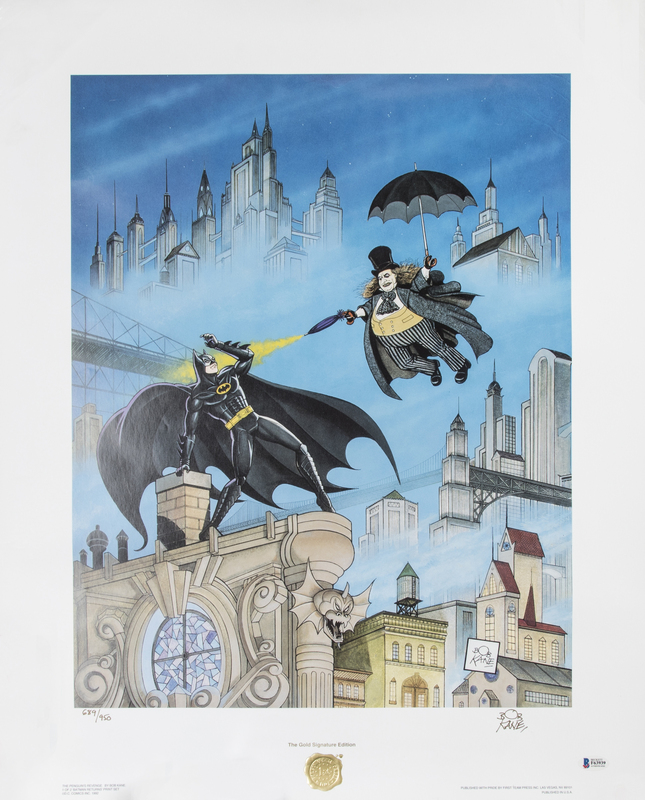 This lithograph measures 21 x 26 inches and is a limited edition 689 of 950. 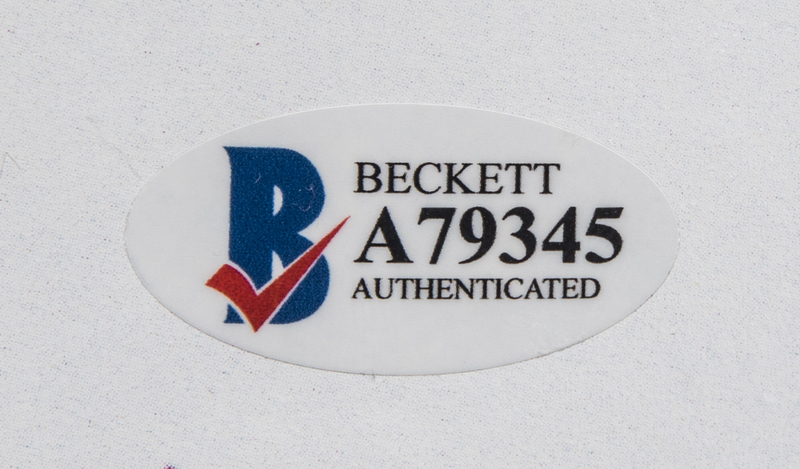 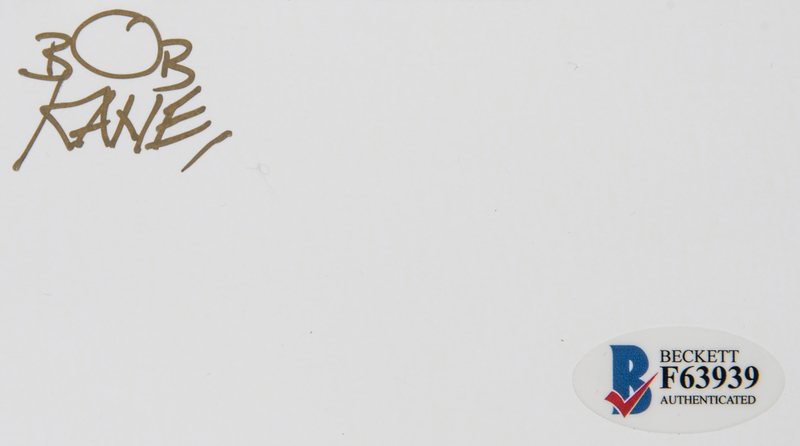 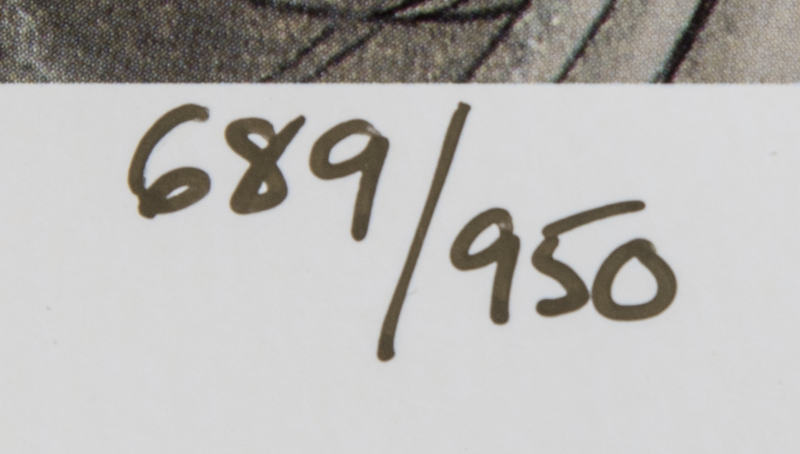 It comes with a COA from Beckett Authentication Services (F63939).